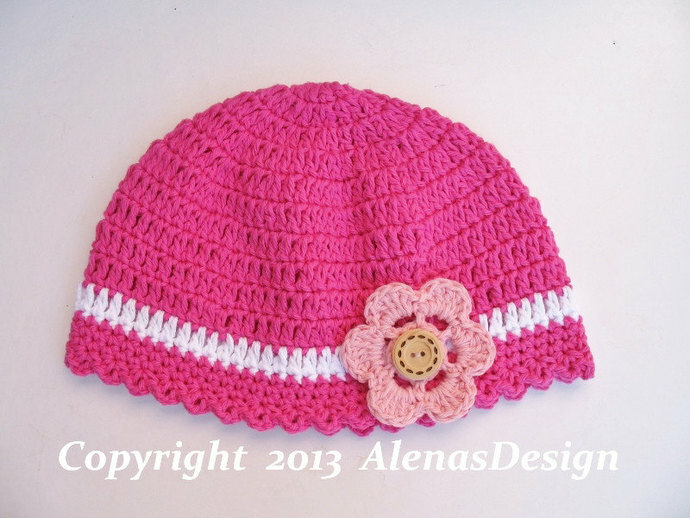 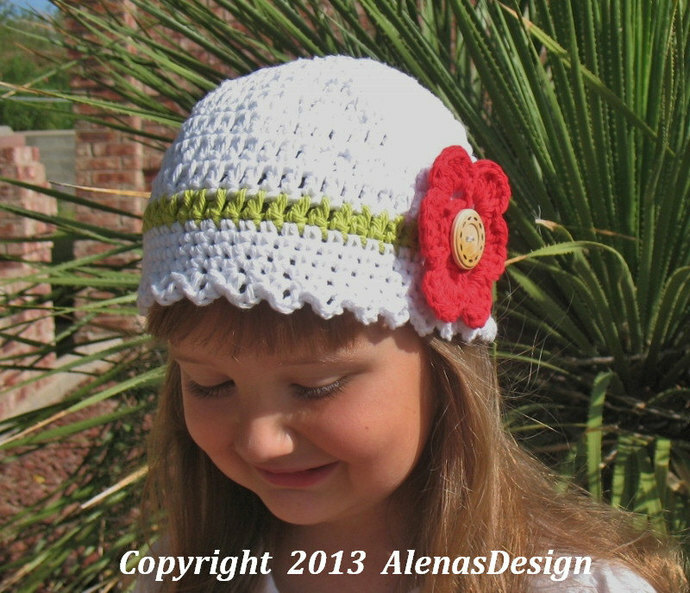 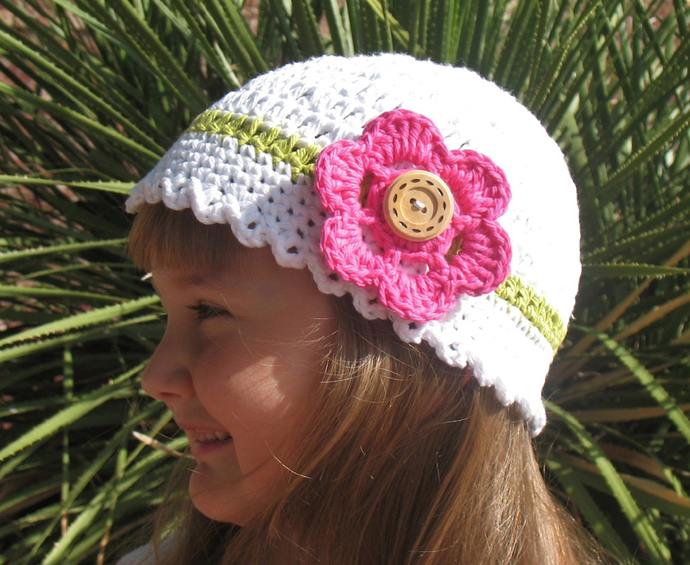 You may buy the PDF pattern for the actual price, or get it on my blog for FREE: https://www.alenasdesign.com/hat-with-detachable-flower/ With this hat, you do not need to sew on a flower. 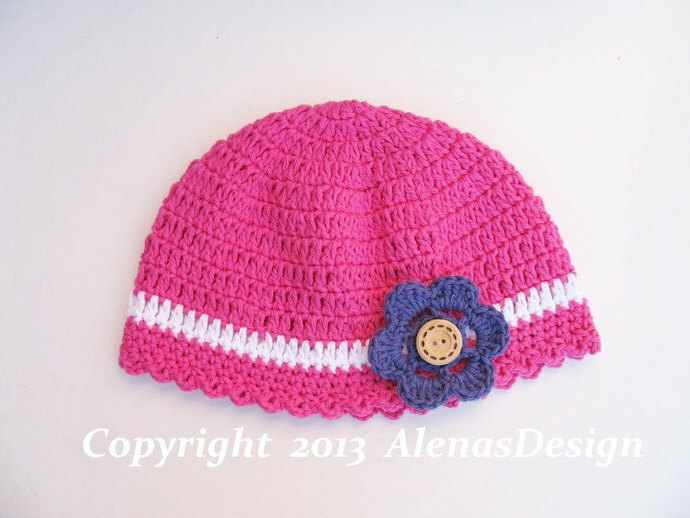 Just place the flower on top of button. 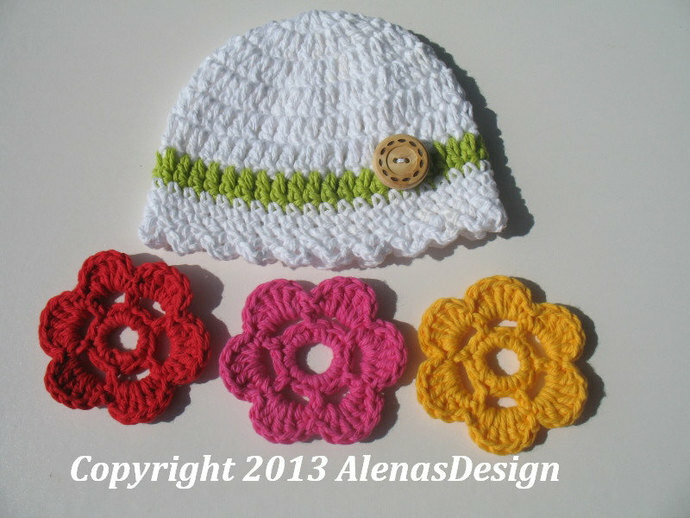 Also, you may make many flowers of different colors which will give the hat a new look.